Finding a garden centre near Canterbury that you can absolutely rely on for your plants, supplies, and all other gardening essentials is a wish for a lot of garden owners in the city. With Thompson’s Plants Garden Centre and its four nurseries within driving distance of Canterbury, you can rest assured we will have anything you need related to gardening available in our premises. 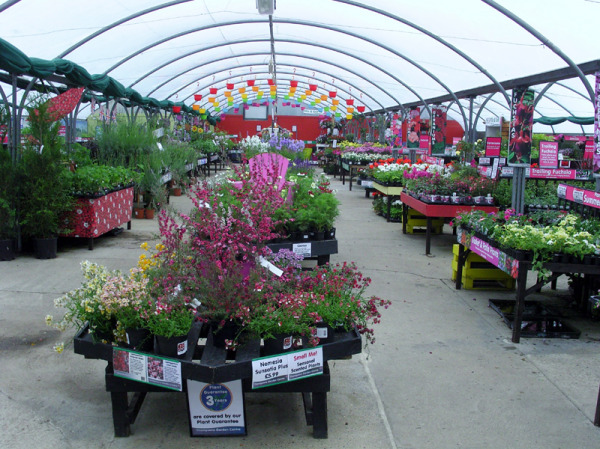 First and foremost, we have a big range of plants in our garden centre near Canterbury. We have small to huge, very young to fully-grown, seasonal to all-year-round plants. No matter what kind of plants you want for your garden, there is little chance you will not find them - or something close to them - in our nurseries. For your grow-your-own passion, we have a variety of fruits and vegetables in the garden centre from seeds and roots to fully grown trees so you can take home your favourite greens in the exact age and maturity as you want. Your garden will look magnificent with beddings bordered with our colourful bulbs. We have many for every season of the year. If you like the wildness of climbing plants, we have lots of them in many types available in our premises. We also have large collections of annuals, perennials, ramblers, climbers, trees, herbs, and shrubs, not to mention indoor plants and containers to go with them. We also keep many kinds of seeds for gardens in Canterbury, including seeds of flowering plants, fruit plants, vegetable patches, climbers, lawn grass, and for bird feeding. So you can have afternoon tea among the blooming flowers on warm summer days, we have a huge collection of outdoor furniture manufactured by trusted brands available in our garden shops. From wooden benches, bistro sets, duet sets and weave pergolas, sofa sets, and trellis to cast aluminium benches, tables, and garden chairs, we have everything you will need to spend some great time in your garden. When it comes to gardening, one of the most important parts of it is watering of the plants. Without proper watering arrangements that suit the needs of your bedding and plot, you will not be able to grow a perfectly healthy set of plants. We keep a large range of watering tools to assist all kinds of gardens, including basic watering cans in many shapes and sizes, many types of hoses with proper attachments, as well as fully-automated watering systems for big gardens. Seasoned gardeners understand how important it is to keep their lawn healthy and lush. Yellowing grass and bald patches in the lawn can ruin the impression and beauty of your meticulously prepared garden. With our lawn care products, however, you need not worry something like that will happen to you. Get the top dressings, special fertilisers, and weed killing products to protect your lawn and keep it green and healthy. Garden tools are another necessary product category for us. We keep our stock of tools full of variety and quality so that you can take home any gardening tool you might need from your very own garden centre near Canterbury. Soil fertilisers and compost are among our most popular products. Garden owners trust our selection of high quality branded compost and fertilisers because we choose organic materials and products over the rest. Of course, we have a tonne of garden accessories available so you can easily find the kind of sundries, garden lightning, gravel, and decorations you were looking for. Along with these, we keep spare parts for gardening machinery as well as other important garden supplies in our stock. Variety is crucial for us, but we make sure we do not overlook quality just so we could have every available item in our inventory. In fact, our strategy for stock selection is the ultimate example of balance between quality and prices. We make sure we find the best quality products that come with affordable prices for our customers. We focus on brands that British gardeners have trusted over the years and stock the inventory in our garden centre near Canterbury with products most of our seasoned customers recognise and trust. Getting your gardening products from Thompson’s Plants, you are beginning a relationship that will last for a long time because you will find no reason to leave our garden shop near Canterbury for another place. We keep our inventory full of variety so we never say no to a customer expect when it is a matter of quality. This focus on customer satisfaction also means we provide more value to our visitors than other nurseries near Canterbury. This is why you will be surprised to know how knowledgeable our staff is. They are experts in gardening and know a great deal about the products we have. During your visit to one of our nurseries, you can ask them any questions about gardening in general or take advice about what products you should take home. You will not be disappointed. Visit our garden centre near Canterbury soon to get your plants and gardening supplies. You will be amazed at everything we have to offer. Also, visit our coffee shop!